Completed in 1915, the Cathedral of Saint Paul overlooks downtown Saint Paul, the crescent-shaped bend in the Mississippi river here and its surrounding bluffs miles into the distance. The cathedral’s interior, which can seat 3,000 comfortably, is every bit as breathtaking as its exterior. 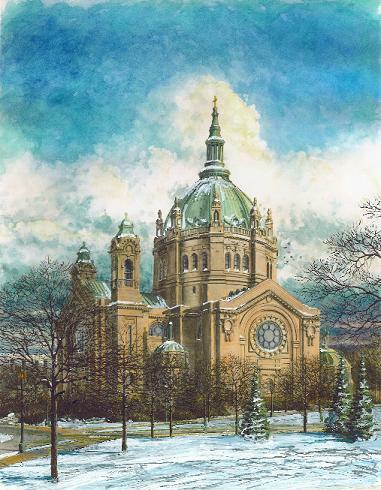 The original ‘Cathedral of Saint Paul’ watercolor was completed in 2010. 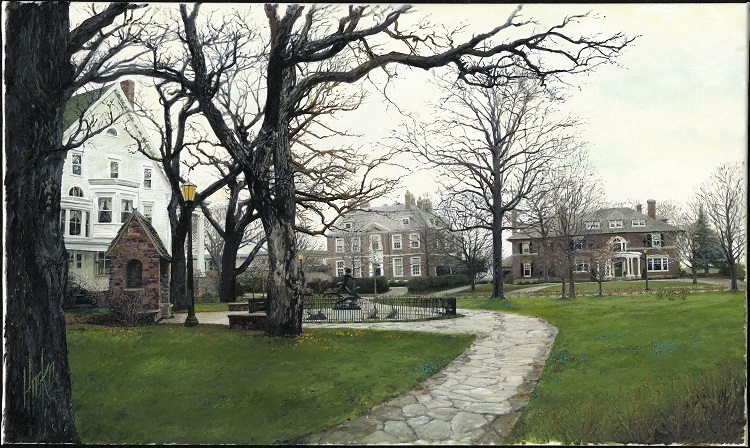 In 2012, an additional snowfall was added to the scene by the artist.